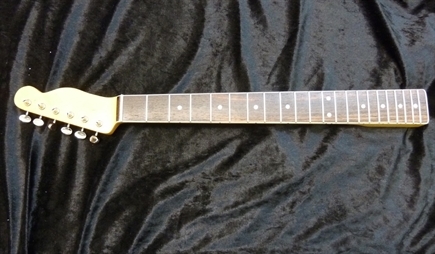 This is a beatiful 60's style maple Telecaster neck with a BOUND slab rosewood fingerboard , truss rod adjustment in the heel. 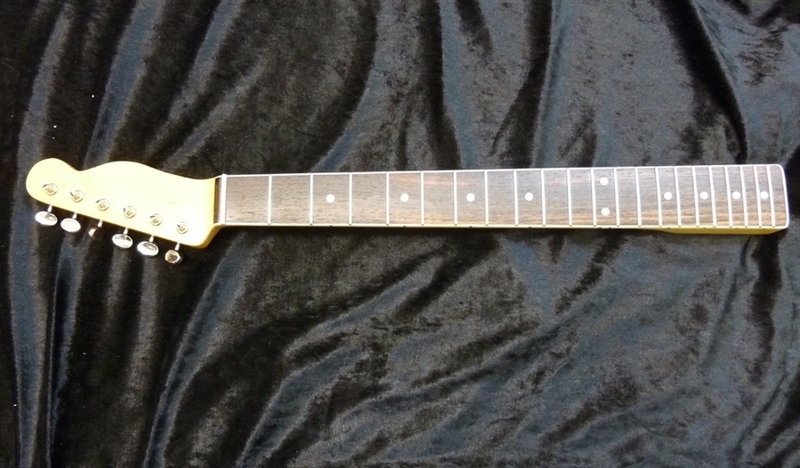 It comes This is a beatiful 60's style maple Telecaster neck with a BOUND slab rosewood fingerboard , truss rod adjustment in the heel. It comes with a complete set of "Kluson" type machine heads. It is 56.60mm wide at the heel and 27.40 deep. It is 21.20mm at the 1st fret and 23.00mm at the 12th. The nut is 43mm wide and the frets are almost jumbo at 2.63mm wide. The profile is a 'C' and the radiius is 9.5"